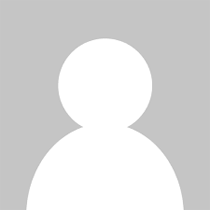 سلامتك هي أولوية رئيسية بالنسبة لنا ونحن نلتزم بشدة بمعايير عالية من التعقيم والنظافة. نحن نستخدم أكثر الطرق تطوراً للتعقيم والتطهير من أجل سلامتك وحماية صحتك. لقد قمنا بتصميم العيادة الخاصة بنا بطريقة تجعلك تشعر بالراحة مع الأجواء الودية والمريحة في المكاتب الخفيفة والمتجددة الهواء والمناطق المحيطة الجذابة. 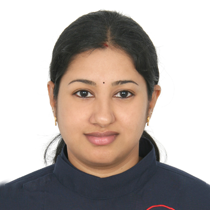 Dr. Siju George is a Specialist Orthodontist. 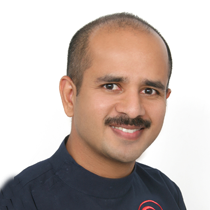 He specialises in treating children with preventive and interceptive orthodontics, and adults with invisible and surgical orthodontics. He is a certified provider of Invisalign® and is experienced in applying a variety of treatments – such as the Damon System that requires shorter treatment time, Incognito™ Hidden Braces and other aesthetic treatments, depending on the needs of each patient. 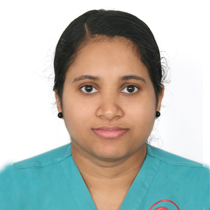 He works closely with the implant, oral surgery and restorative teams to tailor treatments for patients needing multi-disciplinary care. Outside of work, Dr. Siju loves to travel the world for the love of wildlife photography. 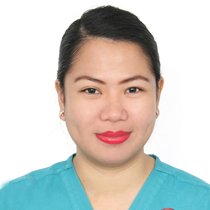 As a Prosthodontist, Dr. Sheby brings in her dental experience of over 13 years. 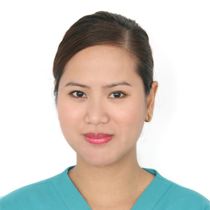 She is known to provide her patients with state-of-the-art techniques and procedures to treat diverse and complex dental conditions and to restore these conditions to their optimum function and beauty. 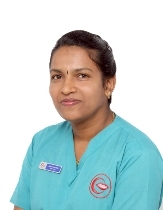 She specialises in cosmetic dentistry, dental implants, crowns, dentures, and prosthetics services. 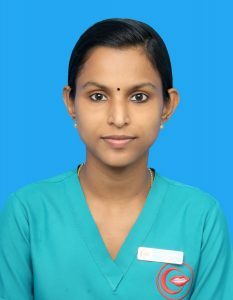 When she’s not in the clinic, she loves to spend a lot of time with friends and family, travelling and dancing too as finds it a great way to relieve off stress. 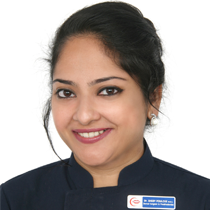 Dr. Aamina has been practicing for over 7 years and has extensive experience in different aspects of Restorative & Cosmetic Dentistry and Endodontics. 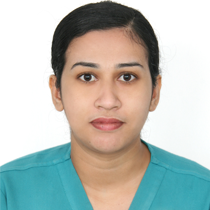 Dr. Aamina is known for her thorough examinations, diagnoses, treatment planning of Root Canal Therapy. 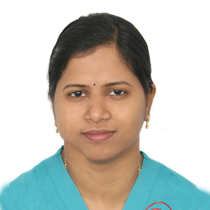 A regular contributor to leading dental journals, she is also loves to travel. 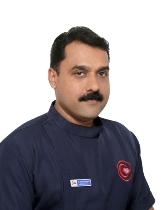 Dr. Ajay Narayan, our resident Specialist Paedodontist, has worked in various reputed clinics and hospitals as a consultant pediatric and preventive dentist. 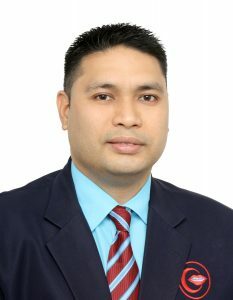 He has served as an associate professor in a reputed dental college in India for 6 years. 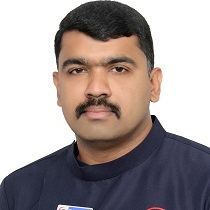 He is also an accredited member of the Indian society of paedodontics and preventive dentistry. 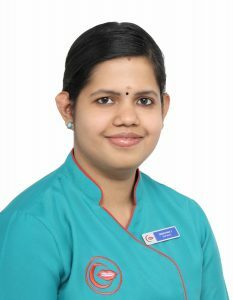 Dr. Ajay strives to provide the highest quality pediatric dental care in a child friendly and compassionate atmosphere with emphasis on prevention of dental decay, patient/parent education regarding decay promoting feeding behaviors, development of aberrant habits, advice on preventing injuries to mouth and teeth and also on growth and development from infancy through adolescence. 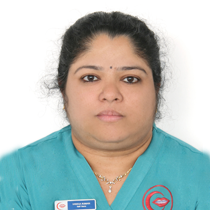 Dr Vijayalakshmi graduated from Rajiv Gandhi University of health sciences, Bangalore in 2006 and since then has gained a breadth of experience in general dentistry. 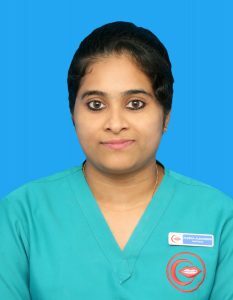 She does her utmost to ensure that each patient visit is as relaxed and pain-free as possible by putting the patients at ease and treating them with a comprehensive and effective treatment plan. 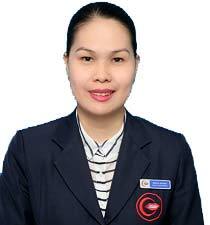 Outside of work she enjoys reading and spending quality time with her family. 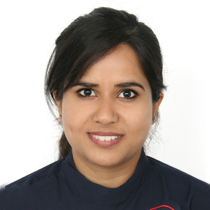 Dr. Puneet has been part of our dental team -since 2012. 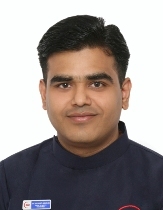 He strongly believes in minimal intervention and prevention. His calm, kind and laid back approach has proved to be very-popular with the patients who follow him over the years. 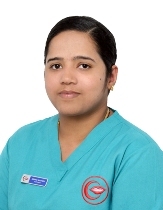 Outside of dentistry Dr. Puneet loves to travel, prefers to be traveller rather than a tourist for a more real experience. He is also an enthusiastic photographer. 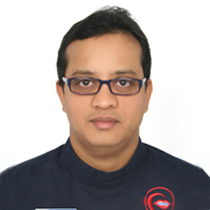 Dr Dinesh Gopal is a consultant Oral & maxillofacial surgeon with more than 18 yrs. of experience. His area of specialty is facial cosmetic surgeries includes correction of facial deformities of the upper and lower jaw and the chin. 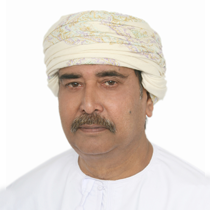 His other area of interest includes dental implants on which he has done extensive work. He is a member as well as a fellow of the royal college of surgeons of Edinboruogh UK. A fitness freak who loves to enjoy a quiet evening. 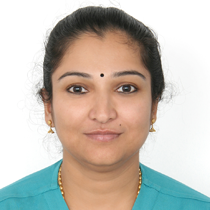 Dr. Prashant specializes in cosmetic dentistry and microscopic root canal treatment has a experience of almost 11 years. 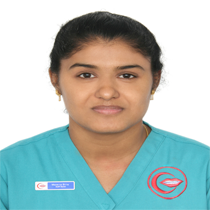 He has also served as Assistant Professor in one of the prestigious dental college in India. He is know for his speed and precision. 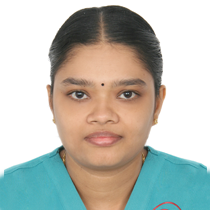 Apart from dentistry Dr. Prashant has great interest in poetry, music, philosophy and human psychology. نحن في مركز وسن لطب الأسنان متخصصون للغاية في إدارة النظافة. نحن نؤمن بأن بيئة نظيفة وآمنة لا توفر فقط تجربة ممتعة لمرضانا ، ولكن أيضا ، وربما الأهم من ذلك ، وهو منع التلوث المحتمل والذي يعتبر من أهم مسببات الأمراض التي قد تتفاقم بسبب عدم وجود ظروف نظيفة ومعقمة. أولاً ، نتأكد من أن مكاتب طب الأسنان نظيفة ومنظمة بشكل عام ، خالية من الغبار على أسطح العمل ، الكراسي وغيرها من المعدات والأثاث. إلى جانب النظافة العامة ، من أجل سلامة المرضى ، يتم تنظيف جميع غرف الفحص والعلاج وتطهير جميع الأسطح بين المرضى ، بما في ذلك المواد مثل كراسي الأسنان ، وضوء الأسنان ، ومقابض الأدراج وأسطح الكاونتر. كما نتحمل المسؤولية تجاه المجتمع بشكل جاد ، لذا فنحن نفصل النفايات الطبية المختلفة عن النفايات العامة ، كما نستخدم صناديق القمامه المخصصه للتخلص الآمن من المواد الحادة وأي شيء ملوث بالدم أو اللعاب يتم التخلص منه بعد كل مريض. في مركز وسن التخصصي للأسنان نحن فخورون بالالتزام بأعلى معايير النظافة. لدينا غرفة إزالة ملوثات مركزية ، والتي تضم أحدث أجهزة التعقيم الفراغية (من الفئة B) ، مما يضمن أن بيئتنا الإكلينيكية تحقق أعلى معايير النظافة الممكنة. يتم تدريب جميع الموظفين ويتم إطلاعهم بانتظام حول إجراءات التحكم بالعدوى بالمستشفيات. لدينا أيضًا بيان سياسة مكتوب حول العدوى بالمستشفيات يتم تحديثه بانتظام. نحن فخورون أيضاً بالشراكة مع Bode Chemie GmbH ، ألمانيا ، الشركة الرائدة عالمياً في مجال الوقاية من العدوى ومنتجات مكافحة العدوى ودعم التدريب. في مركز وسن التخصصي ، نقوم بإجراء اختبار شامل عند جدولة زيارتك الأولى. وهذا يشمل إختبار شامل ، أشعة سينية رقمية وإختبار كامل للأسنان. سيتم تحديد أي علاج موصى به بشكل واضح لك وستتاح لك الفرصة للحصول على إجابات عن أي أسئلة. خلال زيارتك الأولى ، سيُطلب منك تقديم معلومات كاملة وحديثة عن صحتك. أخبر طبيب أسنانك إذا كنت قد عانيت مؤخرا من المستشفى أو الجراحة ، أو إذا كنت مريضا مؤخرا. أخبر طبيب الأسنان بأسماء ، جرعات ، وأي من الأدوية التي تتناولها – سواء كانت وصفة طبية أو منتجات بدون وصفة طبية – واسم طبيبك. من المهم أيضًا إظهار أي مخاوف قد تكون لديك حول علاج الأسنان. لدينا العديد من الطرق لمساعدتك على الاسترخاء أثناء العلاج. ستساعد المعلومات التي تم جمعها في زيارتك الأولى الطبيب على اختيار طريقة العلاج الأكثر أمانًا وفعالية بالنسبة لك. يتم مقابلة المرضى بموعد سابق فقط. نحن نبذل كل جهد ممكن ليكون ذلك في الوقت المناسب لمرضانا. إذا كنت لا تستطيع الإلتزام بحضور الموعد ، فيرجى إبلاغنا لمساعدتنا في إعادة جدولة موعدك. في حالة حدوث ألم أو حالة طوارئ ، سنبذل قصارى جهدنا لتحديد موعد لك على الفور. ومع ذلك ، قد تؤدي بعض الظروف في بعض الأحيان إلى إطالة مدة إجراءات حجز موعد الحالات الطارئة والتي قد تنشأ والتي يمكن أن تسبب تأخيرات.